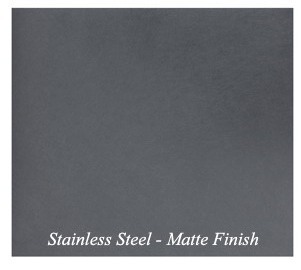 Square stainless steel basin with stainless steel lid and wide, flat stainless steel spout. 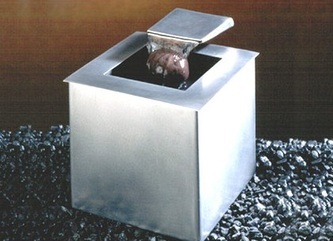 Water flows from spout onto stone which rests on a ceramic tile attached to the lid. Very quiet, visually appealing fountain.